Russian military early warning satellite. Work on the Soviet Union's first infrared ICBM launch detection satellite began in 1967 as the USK - space system to observe rocket launches. AKA: SPRN-1;US-KS. Status: Operational 1972. First Launch: 1972-09-19. Last Launch: 2010-09-30. Number: 86 . Savin's TsNII Kometa was prime contractor, with Kovtunenko at KB Lavochkin providing the integrated launch vehicle and satellite bus system. As defined in the PVO's TTZ specification document, the system would provide 15 to 30 minute earlier warning of ballistic missile launch than radar systems. The system would be launched from Plesetsk from a dedicated Molniya pad. The original command-and-control system was unique to the project, operating from a single location and not integrated with GUKOS common systems. 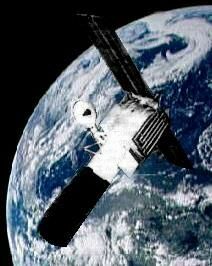 Four experimental versions of the satellite were launched from 1972-1976, beginning with Kosmos 520. Three of these were put into operation, resulting in an initial usable system in 1977. But even with a four satellite constellation 24 hour observation of all possible launch locations was not possible, so development began of a replacement system in 1980. The PVO project manager was Hero of Soviet Labor Lieutenant General M I Nenashev. The SPRN was just part of an integrated system using digital computers installed at the TsKKP Centre for Control of the Space Theatre of Operations. The TsKKP integrated data from the SPRN satellites, anti-ballistic missile radars, optico-electronic satellite tracking stations, and laser ground complexes to track all objects in space up to 40,000 km altitude. TsKKP maintained a catalogue of tens of thousands of orbiting spacecraft, objects, and fragments, which GUKOS used to guide operations of the space forces. Family: Early Warning, Military early warning sat, Molniya orbit, Surveillance. Country: Russia. Launch Vehicles: R-7, Molniya 8K78M, Molniya 8K78M-PVB. Launch Sites: Plesetsk, Plesetsk LC41/1, Plesetsk LC43/4, Plesetsk LC43/3, Plesetsk LC16/2. Agency: MOM, Lavochkin bureau. Bibliography: 100, 102, 2, 552, 554, 6, 64, 65. Early Warning satellite placed in Molniya high-apogee orbits. 1972 September 19 - . 19:19 GMT - . Launch Site: Plesetsk. Launch Complex: Plesetsk LC41/1. LV Family: R-7. Launch Vehicle: Molniya 8K78M. Cosmos 520 - . Payload: Oko #1. Mass: 1,250 kg (2,750 lb). Nation: Russia. Agency: MOM. Class: Surveillance. Type: Early warning satellite. Spacecraft: Oko. USAF Sat Cat: 6192 . COSPAR: 1972-072A. Apogee: 33,393 km (20,749 mi). Perigee: 6,841 km (4,250 mi). Inclination: 69.90 deg. Period: 715.30 min. Covered Oko constellation plane 3 - 355 degree longitude of ascending node..
1973 November 2 - . 13:01 GMT - . Launch Site: Plesetsk. Launch Complex: Plesetsk LC41/1. LV Family: R-7. Launch Vehicle: Molniya 8K78M. Cosmos 606 - . Payload: Oko #2. Mass: 1,250 kg (2,750 lb). Nation: Russia. Agency: MOM. Class: Surveillance. Type: Early warning satellite. Spacecraft: Oko. USAF Sat Cat: 6916 . COSPAR: 1973-084A. Apogee: 35,385 km (21,987 mi). Perigee: 4,964 km (3,084 mi). Inclination: 69.50 deg. Period: 717.70 min. Replaced Cosmos 520. Covered Oko constellation plane 3 - 359 degree longitude of ascending node..
1974 June 29 - . 15:59 GMT - . Launch Site: Plesetsk. Launch Complex: Plesetsk LC41/1. LV Family: R-7. Launch Vehicle: Molniya 8K78M. Cosmos 665 - . Payload: Oko #3. Mass: 1,250 kg (2,750 lb). Nation: Russia. Agency: MOM. Class: Surveillance. Type: Early warning satellite. Spacecraft: Oko. Decay Date: 1990-07-06 . USAF Sat Cat: 7352 . COSPAR: 1974-050A. Apogee: 39,653 km (24,639 mi). Perigee: 298 km (185 mi). Inclination: 61.80 deg. Period: 709.60 min. Covered Oko constellation plane 2 - 315 degree longitude of ascending node..
1975 January 30 - . 15:02 GMT - . Launch Site: Plesetsk. Launch Complex: Plesetsk LC41/1. LV Family: R-7. Launch Vehicle: Molniya 8K78M. Cosmos 706 - . Payload: Oko #4. Mass: 1,250 kg (2,750 lb). Nation: Russia. Agency: MOM. Class: Surveillance. Type: Early warning satellite. Spacecraft: Oko. USAF Sat Cat: 7625 . COSPAR: 1975-007A. Apogee: 35,365 km (21,974 mi). Perigee: 4,977 km (3,092 mi). Inclination: 67.80 deg. Period: 717.60 min. Covered Oko constellation planes 7/8 - 182 degree longitude of ascending node..
1976 October 22 - . 09:12 GMT - . Launch Site: Plesetsk. Launch Complex: Plesetsk LC43/4. LV Family: R-7. Launch Vehicle: Molniya 8K78M. Cosmos 862 - . Payload: Oko #5. Mass: 1,250 kg (2,750 lb). Nation: Russia. Agency: MOM. Class: Surveillance. Type: Early warning satellite. Spacecraft: Oko. USAF Sat Cat: 9495 . COSPAR: 1976-105A. Apogee: 36,759 km (22,840 mi). Perigee: 3,620 km (2,240 mi). Inclination: 68.30 deg. Period: 718.30 min. Covered Oko constellation plane 5 - 86 degree longitude of ascending node..
1977 April 11 - . 01:38 GMT - . Launch Site: Plesetsk. Launch Complex: Plesetsk LC43/3. LV Family: R-7. Launch Vehicle: Molniya 8K78M. Cosmos 903 - . Payload: Oko #6. Mass: 1,250 kg (2,750 lb). Nation: Russia. Agency: MOM. Class: Surveillance. Type: Early warning satellite. Spacecraft: Oko. Decay Date: 2014-08-04 . USAF Sat Cat: 9911 . COSPAR: 1977-027A. Apogee: 35,796 km (22,242 mi). Perigee: 4,559 km (2,832 mi). Inclination: 67.40 deg. Period: 717.80 min. Covered Oko constellation plane 7 - 163 degree longitude of ascending node..
1977 June 16 - . 01:58 GMT - . Launch Site: Plesetsk. Launch Complex: Plesetsk LC43/4. LV Family: R-7. Launch Vehicle: Molniya 8K78M. Cosmos 917 - . Payload: Oko #7. Mass: 1,250 kg (2,750 lb). Nation: Russia. Agency: MOM. Class: Surveillance. Type: Early warning satellite. Spacecraft: Oko. USAF Sat Cat: 10059 . COSPAR: 1977-047A. Apogee: 36,143 km (22,458 mi). Perigee: 4,196 km (2,607 mi). Inclination: 67.60 deg. Period: 717.50 min. Covered Oko constellation plane 9 - 245 degree longitude of ascending node..
1977 July 20 - . 04:44 GMT - . Launch Site: Plesetsk. Launch Complex: Plesetsk LC43/4. LV Family: R-7. Launch Vehicle: Molniya 8K78M. Cosmos 931 - . Payload: Oko #8. Mass: 1,250 kg (2,750 lb). Nation: Russia. Agency: MOM. Class: Surveillance. Type: Early warning satellite. Spacecraft: Oko. USAF Sat Cat: 10150 . COSPAR: 1977-068A. Apogee: 36,549 km (22,710 mi). Perigee: 3,770 km (2,340 mi). Inclination: 66.50 deg. Period: 717.10 min. Replaced Cosmos 665. Covered Oko constellation plane 2 - 323 degree longitude of ascending node..
1978 June 28 - . 02:59 GMT - . Launch Site: Plesetsk. Launch Complex: Plesetsk LC43/3. LV Family: R-7. Launch Vehicle: Molniya 8K78M. Cosmos 1024 - . Payload: Oko #9. Mass: 2,030 kg (4,470 lb). Nation: Russia. Agency: MOM. Class: Surveillance. Type: Early warning satellite. Spacecraft: Oko. USAF Sat Cat: 10970 . COSPAR: 1978-066A. Apogee: 35,365 km (21,974 mi). Perigee: 4,984 km (3,096 mi). Inclination: 67.30 deg. Period: 717.70 min. Replaced Cosmos 931. Covered Oko constellation plane 2 - 323 degree longitude of ascending node..
1978 September 6 - . 03:04 GMT - . Launch Site: Plesetsk. Launch Complex: Plesetsk LC43/4. LV Family: R-7. Launch Vehicle: Molniya 8K78M. Cosmos 1030 - . Payload: Oko #10. Mass: 2,030 kg (4,470 lb). Nation: Russia. Agency: MOM. Class: Surveillance. Type: Early warning satellite. Spacecraft: Oko. Decay Date: 2004-08-17 . USAF Sat Cat: 11015 . COSPAR: 1978-083A. Apogee: 36,185 km (22,484 mi). Perigee: 4,131 km (2,566 mi). Inclination: 66.20 deg. Period: 717.00 min. Covered Oko constellation plane 4 - 39 degree longitude of ascending node..
1979 June 27 - . 18:11 GMT - . Launch Site: Plesetsk. Launch Complex: Plesetsk LC41/1. LV Family: R-7. Launch Vehicle: Molniya 8K78M. Cosmos 1109 - . Payload: Oko #11. Mass: 2,030 kg (4,470 lb). Nation: Russia. Agency: MOM. Class: Surveillance. Type: Early warning satellite. Spacecraft: Oko. USAF Sat Cat: 11417 . COSPAR: 1979-058A. Apogee: 36,998 km (22,989 mi). Perigee: 3,228 km (2,005 mi). Inclination: 68.20 deg. Period: 715.20 min. Covered Oko constellation plane 9 - 237 degree longitude of ascending node..
1979 August 28 - . 00:17 GMT - . Launch Site: Plesetsk. Launch Complex: Plesetsk LC43/4. LV Family: R-7. Launch Vehicle: Molniya 8K78M. Cosmos 1124 - . Payload: Oko #12. Mass: 2,030 kg (4,470 lb). Nation: Russia. Agency: MOM. Class: Surveillance. Type: Early warning satellite. Spacecraft: Oko. USAF Sat Cat: 11509 . COSPAR: 1979-077A. Apogee: 35,403 km (21,998 mi). Perigee: 4,913 km (3,052 mi). Inclination: 67.30 deg. Period: 717.00 min. Replaced Cosmos 1030. Covered Oko constellation plane 4 - 36 degree longitude of ascending node..
1980 February 12 - . 00:53 GMT - . Launch Site: Plesetsk. Launch Complex: Plesetsk LC43/4. LV Family: R-7. Launch Vehicle: Molniya 8K78M. FAILURE: Fourth stage failure.. Failed Stage: U.
Cosmos 1164 - . Payload: Oko #13. Mass: 1,890 kg (4,160 lb). Nation: Russia. Agency: MOM. Class: Surveillance. Type: Early warning satellite. Spacecraft: Oko. Decay Date: 1980-02-12 . USAF Sat Cat: 11700 . COSPAR: 1980-013A. Apogee: 40,856 km (25,386 mi). Perigee: 434 km (269 mi). Inclination: 62.80 deg. Period: 736.80 min. Left in parking orbit. Decay date suspect Investigation of the upper atmosphere and outer space. Was intended to cover Oko constellation plane 9 - 241 degree longitude of ascending node..
1980 April 12 - . 20:18 GMT - . Launch Site: Plesetsk. Launch Complex: Plesetsk LC41/1. LV Family: R-7. Launch Vehicle: Molniya 8K78M. Cosmos 1172 - . Payload: Oko #14. Mass: 1,800 kg (3,900 lb). Nation: Russia. Agency: MOM. Class: Surveillance. Type: Early warning satellite. Spacecraft: Oko. Decay Date: 1997-12-26 . USAF Sat Cat: 11758 . COSPAR: 1980-028A. Apogee: 38,809 km (24,114 mi). Perigee: 1,476 km (917 mi). Inclination: 64.70 deg. Period: 716.40 min. Replaced Cosmos 1109. Covered Oko constellation plane 9 - 240 degree longitude of ascending node..
1980 June 14 - . 20:52 GMT - . Launch Site: Plesetsk. Launch Complex: Plesetsk LC43/3. LV Family: R-7. Launch Vehicle: Molniya 8K78M. Cosmos 1188 - . Payload: Oko #15. Mass: 1,800 kg (3,900 lb). Nation: Russia. Agency: MOM. Class: Surveillance. Type: Early warning satellite. Spacecraft: Oko. Decay Date: 2013-05-24 . USAF Sat Cat: 11844 . COSPAR: 1980-050A. Apogee: 36,280 km (22,540 mi). Perigee: 4,103 km (2,549 mi). Inclination: 68.00 deg. Period: 718.40 min. Replaced Cosmos 1024. Covered Oko constellation plane 2 - 319 degree longitude of ascending node..
1980 July 2 - . 00:54 GMT - . Launch Site: Plesetsk. Launch Complex: Plesetsk LC41/1. LV Family: R-7. Launch Vehicle: Molniya 8K78M. Cosmos 1191 - . Payload: Oko #16. Mass: 1,800 kg (3,900 lb). Nation: Russia. Agency: MOM. Class: Surveillance. Type: Early warning satellite. Spacecraft: Oko. USAF Sat Cat: 11871 . COSPAR: 1980-057A. Apogee: 34,907 km (21,690 mi). Perigee: 5,403 km (3,357 mi). Inclination: 67.50 deg. Period: 716.90 min. Replaced Cosmos 1124. Covered Oko constellation plane 4 - 39 degree longitude of ascending node..
1980 October 24 - . 10:53 GMT - . Launch Site: Plesetsk. Launch Complex: Plesetsk LC41/1. LV Family: R-7. Launch Vehicle: Molniya 8K78M. Cosmos 1217 - . Payload: Oko #17. Mass: 1,800 kg (3,900 lb). Nation: Russia. Agency: MOM. Class: Surveillance. Type: Early warning satellite. Spacecraft: Oko. USAF Sat Cat: 12032 . COSPAR: 1980-085A. Apogee: 38,306 km (23,802 mi). Perigee: 2,007 km (1,247 mi). Inclination: 67.00 deg. Period: 716.90 min. Replaced Cosmos 1188. Covered Oko constellation plane 2 - 316 degree longitude of ascending node..
1980 November 27 - . 21:37 GMT - . Launch Site: Plesetsk. Launch Complex: Plesetsk LC41/1. LV Family: R-7. Launch Vehicle: Molniya 8K78M. Cosmos 1223 - . Payload: Oko #18. Mass: 1,800 kg (3,900 lb). Nation: Russia. Agency: MOM. Class: Surveillance. Type: Early warning satellite. Spacecraft: Oko. USAF Sat Cat: 12078 . COSPAR: 1980-095A. Apogee: 34,854 km (21,657 mi). Perigee: 5,517 km (3,428 mi). Inclination: 68.30 deg. Period: 718.10 min. Replaced Cosmos 903. Covered Oko constellation planes 7/8 - 177 degree longitude of ascending node..
1981 February 19 - . 10:00 GMT - . Launch Site: Plesetsk. Launch Complex: Plesetsk LC16/2. LV Family: R-7. Launch Vehicle: Molniya 8K78M. Cosmos 1247 - . Payload: Oko #19. Mass: 1,250 kg (2,750 lb). Nation: Russia. Agency: MOM. Class: Surveillance. Type: Early warning satellite. Spacecraft: Oko. USAF Sat Cat: 12303 . COSPAR: 1981-016A. Apogee: 35,529 km (22,076 mi). Perigee: 4,493 km (2,791 mi). Inclination: 67.20 deg. Period: 711.10 min. Covered Oko constellation plane 5 - 77 degree longitude of ascending node. First space launch from LC16/2, which had been cannabalised in the 1960's to reconstruct LC31 at Baikonur after the on-pad explosion of the second Soyuz in December 1966..
1981 March 31 - . 09:40 GMT - . Launch Site: Plesetsk. Launch Complex: Plesetsk LC41/1. LV Family: R-7. Launch Vehicle: Molniya 8K78M. Cosmos 1261 - . Payload: Oko #20. Mass: 1,250 kg (2,750 lb). Nation: Russia. Agency: MOM. Class: Surveillance. Type: Early warning satellite. Spacecraft: Oko. USAF Sat Cat: 12376 . COSPAR: 1981-031A. Apogee: 35,583 km (22,110 mi). Perigee: 4,742 km (2,946 mi). Inclination: 67.20 deg. Period: 717.20 min. Covered Oko constellation plane 6 - 115 degree longitude of ascending node..
1981 June 19 - . 19:37 GMT - . Launch Site: Plesetsk. Launch Complex: Plesetsk LC43/3. LV Family: R-7. Launch Vehicle: Molniya 8K78M. Cosmos 1278 - . Payload: Oko #21. Mass: 1,250 kg (2,750 lb). Nation: Russia. Agency: MOM. Class: Surveillance. Type: Early warning satellite. Spacecraft: Oko. Decay Date: 2000-09-02 . USAF Sat Cat: 12547 . COSPAR: 1981-058A. Apogee: 37,962 km (23,588 mi). Perigee: 2,452 km (1,523 mi). Inclination: 67.00 deg. Period: 719.00 min. Covered Oko constellation plane 3 - 357 degree longitude of ascending node..
1981 August 4 - . 00:13 GMT - . Launch Site: Plesetsk. Launch Complex: Plesetsk LC16/2. LV Family: R-7. Launch Vehicle: Molniya 8K78M. Cosmos 1285 - . Payload: Oko #22. Mass: 1,250 kg (2,750 lb). Nation: Russia. Agency: MOM. Class: Surveillance. Type: Early warning satellite. Spacecraft: Oko. USAF Sat Cat: 12627 . COSPAR: 1981-071A. Apogee: 36,086 km (22,422 mi). Perigee: 4,721 km (2,933 mi). Inclination: 67.20 deg. Period: 727.00 min. Replaced Cosmos 1261. Covered Oko constellation plane 6 - 116 degree longitude of ascending node..
1981 October 31 - . 22:54 GMT - . Launch Site: Plesetsk. Launch Complex: Plesetsk LC16/2. LV Family: R-7. Launch Vehicle: Molniya 8K78M. Cosmos 1317 - . Payload: Oko #23. Mass: 1,250 kg (2,750 lb). Nation: Russia. Agency: MOM. Class: Surveillance. Type: Early warning satellite. Spacecraft: Oko. USAF Sat Cat: 12933 . COSPAR: 1981-108A. Apogee: 34,987 km (21,739 mi). Perigee: 5,425 km (3,370 mi). Inclination: 68.30 deg. Period: 719.00 min. Covered Oko constellation plane 8 - 196 degree longitude of ascending node..
1982 March 3 - . 05:44 GMT - . Launch Site: Plesetsk. Launch Complex: Plesetsk LC16/2. LV Family: R-7. Launch Vehicle: Molniya 8K78M. Cosmos 1341 - . Payload: Oko #24. Mass: 1,250 kg (2,750 lb). Nation: Russia. Agency: MOM. Class: Surveillance. Type: Early warning satellite. Spacecraft: Oko. USAF Sat Cat: 13080 . COSPAR: 1982-016A. Apogee: 36,092 km (22,426 mi). Perigee: 4,229 km (2,627 mi). Inclination: 67.50 deg. Period: 717.10 min. Replaced Cosmos 1247. Covered Oko constellation plane 5 - 79 degree longitude of ascending node..
1982 April 7 - . 13:42 GMT - . Launch Site: Plesetsk. Launch Complex: Plesetsk LC16/2. LV Family: R-7. Launch Vehicle: Molniya 8K78M. Cosmos 1348 - . Payload: Oko #25. Mass: 1,250 kg (2,750 lb). Nation: Russia. Agency: MOM. Class: Surveillance. Type: Early warning satellite. Spacecraft: Oko. USAF Sat Cat: 13124 . COSPAR: 1982-029A. Apogee: 35,126 km (21,826 mi). Perigee: 5,269 km (3,273 mi). Inclination: 68.40 deg. Period: 718.60 min. Replaced Cosmos 1172. Covered Oko constellation plane 9 - 236 degree longitude of ascending node..
1982 May 20 - . 13:09 GMT - . Launch Site: Plesetsk. Launch Complex: Plesetsk LC41/1. LV Family: R-7. Launch Vehicle: Molniya 8K78M. Cosmos 1367 - . Payload: Oko #26. Mass: 1,250 kg (2,750 lb). Nation: Russia. Agency: MOM. Class: Surveillance. Type: Early warning satellite. Spacecraft: Oko. USAF Sat Cat: 13205 . COSPAR: 1982-045A. Apogee: 35,764 km (22,222 mi). Perigee: 4,640 km (2,880 mi). Inclination: 67.90 deg. Period: 718.80 min. Covered Oko constellation plane 1 - 276 degree longitude of ascending node..
1982 June 25 - . 02:28 GMT - . Launch Site: Plesetsk. Launch Complex: Plesetsk LC43/3. LV Family: R-7. Launch Vehicle: Molniya 8K78M. Cosmos 1382 - . Payload: Oko #27. Mass: 1,250 kg (2,750 lb). Nation: Russia. Agency: MOM. Class: Surveillance. Type: Early warning satellite. Spacecraft: Oko. USAF Sat Cat: 13295 . COSPAR: 1982-064A. Apogee: 34,865 km (21,664 mi). Perigee: 5,465 km (3,395 mi). Inclination: 68.00 deg. Period: 717.30 min. Replaced Cosmos 1223. Covered Oko constellation plane 7 - 154 degree longitude of ascending node..
1982 September 22 - . 06:23 GMT - . Launch Site: Plesetsk. Launch Complex: Plesetsk LC16/2. LV Family: R-7. Launch Vehicle: Molniya 8K78M. Cosmos 1409 - . Payload: Oko #28. Mass: 1,250 kg (2,750 lb). Nation: Russia. Agency: MOM. Class: Surveillance. Type: Early warning satellite. Spacecraft: Oko. Decay Date: 2009-06-08 . USAF Sat Cat: 13585 . COSPAR: 1982-095A. Apogee: 36,670 km (22,780 mi). Perigee: 3,715 km (2,308 mi). Inclination: 66.70 deg. Period: 718.40 min. Replaced Cosmos 1217. Covered Oko constellation plane 2 - 317 degree longitude of ascending node..
1983 April 25 - . 19:34 GMT - . Launch Site: Plesetsk. Launch Complex: Plesetsk LC16/2. LV Family: R-7. Launch Vehicle: Molniya 8K78M. Cosmos 1456 - . Payload: Oko #29. Mass: 1,250 kg (2,750 lb). Nation: Russia. Agency: MOM. Class: Surveillance. Type: Early warning satellite. Spacecraft: Oko. Decay Date: 1998-05-11 . USAF Sat Cat: 14034 . COSPAR: 1983-038A. Apogee: 38,464 km (23,900 mi). Perigee: 1,871 km (1,162 mi). Inclination: 66.60 deg. Period: 717.40 min. Replaced Cosmos 1191. Covered Oko constellation plane 4 - 37 degree longitude of ascending node..
1983 July 8 - . 19:21 GMT - . Launch Site: Plesetsk. Launch Complex: Plesetsk LC43/4. LV Family: R-7. Launch Vehicle: Molniya 8K78M. Cosmos 1481 - . Payload: Oko #30. Mass: 1,250 kg (2,750 lb). Nation: Russia. Agency: MOM. Class: Surveillance. Type: Early warning satellite. Spacecraft: Oko. USAF Sat Cat: 14182 . COSPAR: 1983-070A. Apogee: 36,924 km (22,943 mi). Perigee: 2,912 km (1,809 mi). Inclination: 67.30 deg. Period: 707.30 min. Intended to replace Cosmos 1285; last stage exploded. Was intended to cover Oko constellation plane 6 - 118 degree longitude of ascending node..
1983 December 28 - . 03:48 GMT - . Launch Site: Plesetsk. Launch Complex: Plesetsk LC16/2. LV Family: R-7. Launch Vehicle: Molniya 8K78M. Cosmos 1518 - . Payload: Oko #31. Mass: 1,250 kg (2,750 lb). Nation: Russia. Agency: MOM. Class: Surveillance. Type: Early warning satellite. Spacecraft: Oko. Decay Date: 1998-09-19 . USAF Sat Cat: 14587 . COSPAR: 1983-126A. Apogee: 38,145 km (23,702 mi). Perigee: 2,019 km (1,254 mi). Inclination: 66.90 deg. Period: 713.90 min. Replaced Cosmos 1341. Covered Oko constellation plane 5 - 72 degree longitude of ascending node..
1984 March 6 - . 17:10 GMT - . Launch Site: Plesetsk. Launch Complex: Plesetsk LC16/2. LV Family: R-7. Launch Vehicle: Molniya 8K78M. Cosmos 1541 - . Payload: Oko #32. Mass: 1,250 kg (2,750 lb). Nation: Russia. Agency: MOM. Class: Surveillance. Type: Early warning satellite. Spacecraft: Oko. USAF Sat Cat: 14790 . COSPAR: 1984-024A. Apogee: 35,015 km (21,757 mi). Perigee: 5,297 km (3,291 mi). Inclination: 68.00 deg. Period: 716.90 min. Replaced Cosmos 1278. Covered Oko constellation plane 3 - 355 degree longitude of ascending node..
1984 April 4 - . 01:40 GMT - . Launch Site: Plesetsk. Launch Complex: Plesetsk LC16/2. LV Family: R-7. Launch Vehicle: Molniya 8K78M. Cosmos 1547 - . Payload: Oko #33. Mass: 1,250 kg (2,750 lb). Nation: Russia. Agency: MOM. Class: Surveillance. Type: Early warning satellite. Spacecraft: Oko. USAF Sat Cat: 14884 . COSPAR: 1984-033A. Apogee: 36,507 km (22,684 mi). Perigee: 3,819 km (2,373 mi). Inclination: 67.50 deg. Period: 717.20 min. Replaced Cosmos 1382. Covered Oko constellation plane 7 - 154 degree longitude of ascending node..
1984 June 6 - . 15:34 GMT - . Launch Site: Plesetsk. Launch Complex: Plesetsk LC16/2. LV Family: R-7. Launch Vehicle: Molniya 8K78M. Cosmos 1569 - . Payload: Oko #34. Mass: 1,250 kg (2,750 lb). Nation: Russia. Agency: MOM. Class: Surveillance. Type: Early warning satellite. Spacecraft: Oko. Decay Date: 2001-05-07 . USAF Sat Cat: 15027 . COSPAR: 1984-055A. Apogee: 37,578 km (23,349 mi). Perigee: 2,729 km (1,695 mi). Inclination: 66.10 deg. Period: 716.80 min. Replaced Cosmos 1518. Covered Oko constellation plane 5 - 74 degree longitude of ascending node..
1984 July 3 - . 21:31 GMT - . Launch Site: Plesetsk. Launch Complex: Plesetsk LC43/4. LV Family: R-7. Launch Vehicle: Molniya 8K78M. Cosmos 1581 - . Payload: Oko #35. Mass: 1,250 kg (2,750 lb). Nation: Russia. Agency: MOM. Class: Surveillance. Type: Early warning satellite. Spacecraft: Oko. USAF Sat Cat: 15095 . COSPAR: 1984-071A. Apogee: 36,014 km (22,378 mi). Perigee: 4,498 km (2,794 mi). Inclination: 67.80 deg. Period: 721.00 min. Replaced Cosmos 1317. Covered Oko constellation plane 8 - 194 degree longitude of ascending node..
1984 August 2 - . 08:38 GMT - . Launch Site: Plesetsk. Launch Complex: Plesetsk LC16/2. LV Family: R-7. Launch Vehicle: Molniya 8K78M. Cosmos 1586 - . Payload: Oko #36. Mass: 1,250 kg (2,750 lb). Nation: Russia. Agency: MOM. Class: Surveillance. Type: Early warning satellite. Spacecraft: Oko. Decay Date: 2016-01-06 . USAF Sat Cat: 15147 . COSPAR: 1984-079A. Apogee: 36,751 km (22,835 mi). Perigee: 3,607 km (2,241 mi). Inclination: 66.40 deg. Period: 717.90 min. Replaced Cosmos 1456. Covered Oko constellation plane 4 - 35 degree longitude of ascending node..
1984 September 7 - . 19:13 GMT - . Launch Site: Plesetsk. Launch Complex: Plesetsk LC16/2. LV Family: R-7. Launch Vehicle: Molniya 8K78M. Cosmos 1596 - . Payload: Oko #37. Mass: 1,800 kg (3,900 lb). Nation: Russia. Agency: MOM. Class: Surveillance. Type: Early warning satellite. Spacecraft: Oko. USAF Sat Cat: 15267 . COSPAR: 1984-096A. Apogee: 35,908 km (22,312 mi). Perigee: 4,503 km (2,798 mi). Inclination: 67.80 deg. Period: 718.90 min. Replaced Cosmos 1348. Covered Oko constellation plane 9 - 238 degree longitude of ascending node..
1984 October 4 - . 19:49 GMT - . Launch Site: Plesetsk. Launch Complex: Plesetsk LC16/2. LV Family: R-7. Launch Vehicle: Molniya 8K78M. Cosmos 1604 - . Payload: Oko #38. Mass: 1,800 kg (3,900 lb). Nation: Russia. Agency: MOM. Class: Surveillance. Type: Early warning satellite. Spacecraft: Oko. USAF Sat Cat: 15350 . COSPAR: 1984-107A. Apogee: 36,050 km (22,400 mi). Perigee: 4,359 km (2,708 mi). Inclination: 67.90 deg. Period: 718.90 min. Replaced Cosmos 1367. Covered Oko constellation plane 1 - 274 degree longitude of ascending node..
1985 June 11 - . 14:27 GMT - . Launch Site: Plesetsk. Launch Complex: Plesetsk LC41/1. LV Family: R-7. Launch Vehicle: Molniya 8K78M. Cosmos 1658 - . Payload: Oko #39. Mass: 1,250 kg (2,750 lb). Nation: Russia. Agency: MOM. Class: Surveillance. Type: Early warning satellite. Spacecraft: Oko. Decay Date: 2005-11-12 . USAF Sat Cat: 15808 . COSPAR: 1985-045A. Apogee: 36,933 km (22,949 mi). Perigee: 3,366 km (2,091 mi). Inclination: 65.60 deg. Period: 716.70 min. Replaced Cosmos 1481. Covered Oko constellation plane 6 - 114 degree longitude of ascending node..
1985 June 18 - . 00:40 GMT - . Launch Site: Plesetsk. Launch Complex: Plesetsk LC16/2. LV Family: R-7. Launch Vehicle: Molniya 8K78M. Cosmos 1661 - . Payload: Oko #40. Mass: 1,250 kg (2,750 lb). Nation: Russia. Agency: MOM. Class: Surveillance. Type: Early warning satellite. Spacecraft: Oko. USAF Sat Cat: 15827 . COSPAR: 1985-049A. Apogee: 36,253 km (22,526 mi). Perigee: 4,148 km (2,577 mi). Inclination: 67.40 deg. Period: 718.70 min. Covered Oko constellation plane 1 - 275 degree longitude of ascending node..
1985 August 12 - . 15:09 GMT - . Launch Site: Plesetsk. Launch Complex: Plesetsk LC16/2. LV Family: R-7. Launch Vehicle: Molniya 8K78M. Cosmos 1675 - . Payload: Oko #41. Mass: 1,250 kg (2,750 lb). Nation: Russia. Agency: MOM. Class: Surveillance. Type: Early warning satellite. Spacecraft: Oko. USAF Sat Cat: 15952 . COSPAR: 1985-071A. Apogee: 36,967 km (22,970 mi). Perigee: 3,363 km (2,089 mi). Inclination: 67.40 deg. Period: 717.30 min. Replaced Cosmos 1581. Covered Oko constellation plane 8 - 195 degree longitude of ascending node..
1985 September 24 - . 01:18 GMT - . Launch Site: Plesetsk. Launch Complex: Plesetsk LC43/4. LV Family: R-7. Launch Vehicle: Molniya 8K78M. Cosmos 1684 - . Payload: Oko #42. Mass: 1,250 kg (2,750 lb). Nation: Russia. Agency: MOM. Class: Surveillance. Type: Early warning satellite. Spacecraft: Oko. USAF Sat Cat: 16064 . COSPAR: 1985-084A. Apogee: 32,715 km (20,328 mi). Perigee: 7,606 km (4,726 mi). Inclination: 67.90 deg. Period: 717.10 min. Replaced Cosmos 1586. Covered Oko constellation plane 4 - 35 degree longitude of ascending node..
1985 September 30 - . 19:23 GMT - . Launch Site: Plesetsk. Launch Complex: Plesetsk LC16/2. LV Family: R-7. Launch Vehicle: Molniya 8K78M. Cosmos 1687 - . Payload: Oko #43. Mass: 1,250 kg (2,750 lb). Nation: Russia. Agency: MOM. Class: Surveillance. Type: Early warning satellite. Spacecraft: Oko. USAF Sat Cat: 16103 . COSPAR: 1985-088A. Apogee: 36,187 km (22,485 mi). Perigee: 4,160 km (2,580 mi). Inclination: 67.70 deg. Period: 717.70 min. Replaced Cosmos 1401. Covered Oko constellation plane 2 - 314 degree longitude of ascending node..
1985 October 22 - . 20:24 GMT - . Launch Site: Plesetsk. Launch Complex: Plesetsk LC43/4. LV Family: R-7. Launch Vehicle: Molniya 8K78M. Cosmos 1698 - . Payload: Oko #44. Mass: 1,250 kg (2,750 lb). Nation: Russia. Agency: MOM. Class: Surveillance. Type: Early warning satellite. Spacecraft: Oko. USAF Sat Cat: 16183 . COSPAR: 1985-098A. Apogee: 35,412 km (22,003 mi). Perigee: 4,994 km (3,103 mi). Inclination: 67.80 deg. Period: 718.80 min. Replaced Cosmos 1541. Covered Oko constellation plane 3 - 351 degree longitude of ascending node..
1985 November 9 - . 08:25 GMT - . Launch Site: Plesetsk. Launch Complex: Plesetsk LC41/1. LV Family: R-7. Launch Vehicle: Molniya 8K78M. Cosmos 1701 - . Payload: Oko #45. Mass: 1,250 kg (2,750 lb). Nation: Russia. Agency: MOM. Class: Surveillance. Type: Early warning satellite. Spacecraft: Oko. Decay Date: 2001-05-11 . USAF Sat Cat: 16235 . COSPAR: 1985-105A. Apogee: 36,974 km (22,974 mi). Perigee: 3,375 km (2,097 mi). Inclination: 67.20 deg. Period: 717.70 min. Replaced Cosmos 1675. Covered Oko constellation plane 8 - 192 degree longitude of ascending node..
1986 February 1 - . 18:11 GMT - . Launch Site: Plesetsk. Launch Complex: Plesetsk LC16/2. LV Family: R-7. Launch Vehicle: Molniya 8K78M. Cosmos 1729 - . Payload: Oko #46. Mass: 1,250 kg (2,750 lb). Nation: Russia. Agency: MOM. Class: Surveillance. Type: Early warning satellite. Spacecraft: Oko. USAF Sat Cat: 16527 . COSPAR: 1986-011A. Apogee: 33,130 km (20,580 mi). Perigee: 7,251 km (4,505 mi). Inclination: 68.00 deg. Period: 718.30 min. Replaced Cosmos 1569. Covered Oko constellation plane 5 - 75 degree longitude of ascending node..
1986 July 5 - . 01:16 GMT - . Launch Site: Plesetsk. Launch Complex: Plesetsk LC43/4. LV Family: R-7. Launch Vehicle: Molniya 8K78M. Cosmos 1761 - . Payload: Oko #47. Mass: 1,800 kg (3,900 lb). Nation: Russia. Agency: MOM. Class: Surveillance. Type: Early warning satellite. Spacecraft: Oko. USAF Sat Cat: 16849 . COSPAR: 1986-050A. Apogee: 35,495 km (22,055 mi). Perigee: 4,856 km (3,017 mi). Inclination: 67.80 deg. Period: 717.70 min. Replaced Cosmos 1698. Covered Oko constellation plane 3 - 354 degree longitude of ascending node..
1986 August 28 - . 08:02 GMT - . Launch Site: Plesetsk. Launch Complex: Plesetsk LC16/2. LV Family: R-7. Launch Vehicle: Molniya 8K78M. Cosmos 1774 - . Payload: Oko #48. Mass: 1,800 kg (3,900 lb). Nation: Russia. Agency: MOM. Class: Surveillance. Type: Early warning satellite. Spacecraft: Oko. Decay Date: 2010-10-01 . USAF Sat Cat: 16922 . COSPAR: 1986-065A. Apogee: 36,998 km (22,989 mi). Perigee: 3,405 km (2,115 mi). Inclination: 65.00 deg. Period: 718.80 min. Replaced Cosmos 1547. Covered Oko constellation plane 7 - 156 degree longitude of ascending node..
1986 October 3 - . 13:05 GMT - . Launch Site: Plesetsk. Launch Complex: Plesetsk LC41/1. LV Family: R-7. Launch Vehicle: Molniya 8K78M. FAILURE: Fourth stage failure.. Failed Stage: U.
Cosmos 1783 - . Payload: Oko #49. Mass: 1,800 kg (3,900 lb). Nation: Russia. Agency: MOM. Class: Surveillance. Type: Early warning satellite. Spacecraft: Oko. USAF Sat Cat: 16993 . COSPAR: 1986-075A. Apogee: 18,679 km (11,606 mi). Perigee: 1,970 km (1,220 mi). Inclination: 64.60 deg. Period: 358.00 min. Unusable orbit. Was intended to cover Oko constellation plane 1 - 272 degree longitude of ascending node..
1986 October 15 - . 09:29 GMT - . Launch Site: Plesetsk. Launch Complex: Plesetsk LC41/1. LV Family: R-7. Launch Vehicle: Molniya 8K78M. Cosmos 1785 - . Payload: Oko #50. Mass: 1,800 kg (3,900 lb). Nation: Russia. Agency: MOM. Class: Surveillance. Type: Early warning satellite. Spacecraft: Oko. Decay Date: 2002-02-28 . USAF Sat Cat: 17031 . COSPAR: 1986-078A. Apogee: 37,013 km (22,998 mi). Perigee: 3,408 km (2,117 mi). Inclination: 67.00 deg. Period: 719.10 min. Replaced Cosmos 1596. Covered Oko constellation plane 9 - 233 degree longitude of ascending node..
1986 November 20 - . 12:09 GMT - . Launch Site: Plesetsk. Launch Complex: Plesetsk LC16/2. LV Family: R-7. Launch Vehicle: Molniya 8K78M. Cosmos 1793 - . Payload: Oko #51. Mass: 1,800 kg (3,900 lb). Nation: Russia. Agency: MOM. Class: Surveillance. Type: Early warning satellite. Spacecraft: Oko. Decay Date: 2011-05-15 . USAF Sat Cat: 17134 . COSPAR: 1986-091A. Apogee: 36,922 km (22,942 mi). Perigee: 3,455 km (2,146 mi). Inclination: 67.20 deg. Period: 718.20 min. Replaced Cosmos 1687. Covered Oko constellation plane 2 - 313 degree longitude of ascending node..
1986 December 12 - . 18:35 GMT - . Launch Site: Plesetsk. Launch Complex: Plesetsk LC43/4. LV Family: R-7. Launch Vehicle: Molniya 8K78M. Cosmos 1806 - . Payload: Oko #52. Mass: 1,800 kg (3,900 lb). Nation: Russia. Agency: MOM. Class: Surveillance. Type: Early warning satellite. Spacecraft: Oko. USAF Sat Cat: 17213 . COSPAR: 1986-098A. Apogee: 32,850 km (20,410 mi). Perigee: 7,495 km (4,657 mi). Inclination: 67.90 deg. Period: 717.60 min. Replaced Cosmos 1729. Covered Oko constellation plane 5 - 73 degree longitude of ascending node..
1987 June 4 - . 18:50 GMT - . Launch Site: Plesetsk. Launch Complex: Plesetsk LC16/2. LV Family: R-7. Launch Vehicle: Molniya 8K78M. Cosmos 1849 - . Payload: Oko #53. Mass: 1,800 kg (3,900 lb). Nation: Russia. Agency: MOM. Class: Surveillance. Type: Early warning satellite. Spacecraft: Oko. Decay Date: 2003-02-04 . USAF Sat Cat: 18083 . COSPAR: 1987-048A. Apogee: 37,311 km (23,183 mi). Perigee: 3,104 km (1,928 mi). Inclination: 67.10 deg. Period: 719.00 min. Covered Oko constellation plane 1 - 274 degree longitude of ascending node..
1987 June 12 - . 07:40 GMT - . Launch Site: Plesetsk. Launch Complex: Plesetsk LC43/4. LV Family: R-7. Launch Vehicle: Molniya 8K78M. Cosmos 1851 - . Payload: Oko #54. Mass: 1,800 kg (3,900 lb). Nation: Russia. Agency: MOM. Class: Surveillance. Type: Early warning satellite. Spacecraft: Oko. USAF Sat Cat: 18103 . COSPAR: 1987-050A. Apogee: 33,453 km (20,786 mi). Perigee: 6,926 km (4,303 mi). Inclination: 67.90 deg. Period: 718.30 min. Covered Oko constellation plane 6 - 113 degree longitude of ascending node..
1987 December 21 - . 22:35 GMT - . Launch Site: Plesetsk. Launch Complex: Plesetsk LC41/1. LV Family: R-7. Launch Vehicle: Molniya 8K78M. Cosmos 1903 - . Payload: Oko #55. Mass: 1,250 kg (2,750 lb). Nation: Russia. Agency: MOM. Class: Surveillance. Type: Early warning satellite. Spacecraft: Oko. USAF Sat Cat: 18701 . COSPAR: 1987-105A. Apogee: 33,733 km (20,960 mi). Perigee: 6,634 km (4,122 mi). Inclination: 67.70 deg. Period: 718.00 min. Covered Oko constellation plane 8 - 196 degree longitude of ascending node. It was reported that prior to this, on 8 November 1987 a Molniya booster was prepared for launch in a record four days at Plesetsk..
1988 February 26 - . 09:31 GMT - . Launch Site: Plesetsk. Launch Complex: Plesetsk LC41/1. LV Family: R-7. Launch Vehicle: Molniya 8K78M. Cosmos 1922 - . Payload: Oko #56. Mass: 1,800 kg (3,900 lb). Nation: Russia. Agency: MOM. Class: Surveillance. Type: Early warning satellite. Spacecraft: Oko. USAF Sat Cat: 18881 . COSPAR: 1988-013A. Apogee: 34,181 km (21,239 mi). Perigee: 6,225 km (3,868 mi). Inclination: 67.60 deg. Period: 718.80 min. Covered Oko constellation plane 5 - 75 degree longitude of ascending node..
1988 August 30 - . 14:14 GMT - . Launch Site: Plesetsk. Launch Complex: Plesetsk LC16/2. LV Family: R-7. Launch Vehicle: Molniya 8K78M. Cosmos 1966 - . Payload: Oko #57. Mass: 1,250 kg (2,750 lb). Nation: Russia. Agency: MOM. Class: Surveillance. Type: Early warning satellite. Spacecraft: Oko. Decay Date: 2005-11-10 . USAF Sat Cat: 19445 . COSPAR: 1988-076A. Apogee: 37,970 km (23,590 mi). Perigee: 2,436 km (1,513 mi). Inclination: 67.20 deg. Period: 718.80 min. Covered Oko constellation plane 3 - 355 degree longitude of ascending node..
1988 October 3 - . 22:23 GMT - . Launch Site: Plesetsk. Launch Complex: Plesetsk LC41/1. LV Family: R-7. Launch Vehicle: Molniya 8K78M. Cosmos 1974 - . Payload: Oko #58. Mass: 1,250 kg (2,750 lb). Nation: Russia. Agency: MOM. Class: Surveillance. Type: Early warning satellite. Spacecraft: Oko. USAF Sat Cat: 19554 . COSPAR: 1988-092A. Apogee: 33,413 km (20,761 mi). Perigee: 6,942 km (4,313 mi). Inclination: 68.00 deg. Period: 717.80 min. Covered Oko constellation plane 7 - 157 degree longitude of ascending node..
1988 October 25 - . 18:02 GMT - . Launch Site: Plesetsk. Launch Complex: Plesetsk LC41/1. LV Family: R-7. Launch Vehicle: Molniya 8K78M. Cosmos 1977 - . Payload: Oko #59. Mass: 1,250 kg (2,750 lb). Nation: Russia. Agency: MOM. Class: Surveillance. Type: Early warning satellite. Spacecraft: Oko. USAF Sat Cat: 19608 . COSPAR: 1988-096A. Apogee: 33,805 km (21,005 mi). Perigee: 6,559 km (4,075 mi). Inclination: 67.70 deg. Period: 718.00 min. Covered Oko constellation plane 6 - 116 degree longitude of ascending node..
1989 February 14 - . 04:21 GMT - . Launch Site: Plesetsk. Launch Complex: Plesetsk LC43/3. LV Family: R-7. Launch Vehicle: Molniya 8K78M. Cosmos 2001 - . Payload: Oko #60. Mass: 1,900 kg (4,100 lb). Nation: Russia. Agency: MOM. Class: Surveillance. Type: Early warning satellite. Spacecraft: Oko. Decay Date: 2008-09-22 . USAF Sat Cat: 19796 . COSPAR: 1989-011A. Apogee: 37,951 km (23,581 mi). Perigee: 2,441 km (1,516 mi). Inclination: 66.90 deg. Period: 718.50 min. Covered Oko constellation plane 4 - 32 degree longitude of ascending node..
1989 November 23 - . 20:35 GMT - . Launch Site: Plesetsk. Launch Complex: Plesetsk LC16/2. LV Family: R-7. Launch Vehicle: Molniya 8K78M. Cosmos 2050 - . Payload: Oko #61. Mass: 1,900 kg (4,100 lb). Nation: Russia. Agency: MOM. Class: Surveillance. Type: Early warning satellite. Spacecraft: Oko. USAF Sat Cat: 20330 . COSPAR: 1989-091A. Apogee: 34,182 km (21,239 mi). Perigee: 6,185 km (3,843 mi). Inclination: 67.50 deg. Period: 718.00 min. Covered Oko constellation plane 9 - 233 degree longitude of ascending node..
1990 March 27 - . 16:40 GMT - . Launch Site: Plesetsk. Launch Complex: Plesetsk LC43/3. LV Family: R-7. Launch Vehicle: Molniya 8K78M. Cosmos 2063 - . Payload: Oko #62. Mass: 1,900 kg (4,100 lb). Nation: Russia. Agency: MOM. Class: Surveillance. Type: Early warning satellite. Spacecraft: Oko. USAF Sat Cat: 20536 . COSPAR: 1990-026A. Apogee: 35,210 km (21,870 mi). Perigee: 5,329 km (3,311 mi). Inclination: 67.80 deg. Period: 721.50 min. Covered Oko constellation plane 2 - 317 degree longitude of ascending node..
1990 April 28 - . 11:37 GMT - . Launch Site: Plesetsk. Launch Complex: Plesetsk LC16/2. LV Family: R-7. Launch Vehicle: Molniya 8K78M-PVB. Cosmos 2076 - . Payload: Oko #63. Mass: 1,900 kg (4,100 lb). Nation: Russia. Agency: MOM. Class: Surveillance. Type: Early warning satellite. Spacecraft: Oko. USAF Sat Cat: 20596 . COSPAR: 1990-040A. Apogee: 34,572 km (21,482 mi). Perigee: 5,748 km (3,571 mi). Inclination: 68.00 deg. Period: 717.10 min. Covered Oko constellation plane 1 - 277 degree longitude of ascending node..
1990 June 21 - . 20:45 GMT - . Launch Site: Plesetsk. Launch Complex: Plesetsk LC43/3. LV Family: R-7. Launch Vehicle: Molniya 8K78M-PVB. FAILURE: Fourth stage failure.. Failed Stage: U.
Cosmos 2084 - . Payload: Oko #64. Mass: 1,800 kg (3,900 lb). Nation: Russia. Agency: MOM. Class: Surveillance. Type: Early warning satellite. Spacecraft: Oko. Decay Date: 1990-06-21 . USAF Sat Cat: 20663 . COSPAR: 1990-055A. Apogee: 666 km (413 mi). Perigee: 582 km (361 mi). Inclination: 62.80 deg. Period: 97.20 min. Launched into an erroneous orbit. There was no communication with the satellite. Covered Oko constellation plane 6 - 115 degree longitude of ascending node..
1990 July 25 - . 18:13 GMT - . Launch Site: Plesetsk. Launch Complex: Plesetsk LC16/2. LV Family: R-7. Launch Vehicle: Molniya 8K78M-PVB. Cosmos 2087 - . Payload: Oko #65. Mass: 1,900 kg (4,100 lb). Nation: Russia. Agency: MOM. Class: Surveillance. Type: Early warning satellite. Spacecraft: Oko. USAF Sat Cat: 20707 . COSPAR: 1990-064A. Apogee: 36,991 km (22,985 mi). Perigee: 3,357 km (2,085 mi). Inclination: 67.50 deg. Period: 717.60 min. Replaced Cosmos 2084. Covered Oko constellation plane 6 - 117 degree longitude of ascending node..
1990 August 28 - . 07:49 GMT - . Launch Site: Plesetsk. Launch Complex: Plesetsk LC43/4. LV Family: R-7. Launch Vehicle: Molniya 8K78M-PVB. Cosmos 2097 - . Payload: Oko #66. Mass: 1,900 kg (4,100 lb). Nation: Russia. Agency: MOM. Class: Surveillance. Type: Early warning satellite. Spacecraft: Oko. Decay Date: 2014-12-28 . USAF Sat Cat: 20767 . COSPAR: 1990-076A. Apogee: 37,021 km (23,003 mi). Perigee: 3,383 km (2,102 mi). Inclination: 66.50 deg. Period: 718.80 min. Covered Oko constellation plane 3 - 357 degree longitude of ascending node..
1990 November 20 - . 02:33 GMT - . Launch Site: Plesetsk. Launch Complex: Plesetsk LC16/2. LV Family: R-7. Launch Vehicle: Molniya 8K78M-PVB. Cosmos 2105 - . Payload: Oko #67. Mass: 1,900 kg (4,100 lb). Nation: Russia. Agency: MOM. Class: Surveillance. Type: Early warning satellite. Spacecraft: Oko. Decay Date: 2008-01-21 . USAF Sat Cat: 20941 . COSPAR: 1990-099A. Apogee: 38,453 km (23,893 mi). Perigee: 1,936 km (1,202 mi). Inclination: 65.00 deg. Period: 718.50 min. Covered Oko constellation planes 3/4 - 12 degree longitude of ascending node..
1992 January 24 - . 01:18 GMT - . Launch Site: Plesetsk. Launch Complex: Plesetsk LC43/3. LV Family: R-7. Launch Vehicle: Molniya 8K78M. Cosmos 2176 - . Payload: Oko #68. Mass: 1,900 kg (4,100 lb). Nation: Russia. Agency: MOM. Class: Surveillance. Type: Early warning satellite. Spacecraft: Oko. Decay Date: 2012-01-17 . USAF Sat Cat: 21847 . COSPAR: 1992-003A. Apogee: 37,349 km (23,207 mi). Perigee: 3,058 km (1,900 mi). Inclination: 66.10 deg. Period: 718.80 min. Covered Oko constellation plane 6 - 119 degree longitude of ascending node..
1992 July 8 - . 09:53 GMT - . Launch Site: Plesetsk. Launch Complex: Plesetsk LC43/3. LV Family: R-7. Launch Vehicle: Molniya 8K78M-PVB. Cosmos 2196 - . Payload: Oko #69. Mass: 1,900 kg (4,100 lb). Nation: Russia. Agency: MOM. Class: Surveillance. Type: Early warning satellite. Spacecraft: Oko. Decay Date: 2016-09-27 . USAF Sat Cat: 22017 . COSPAR: 1992-040A. Apogee: 36,915 km (22,937 mi). Perigee: 3,433 km (2,133 mi). Inclination: 67.10 deg. Period: 717.70 min. Covered Oko constellation plane 5 - 75 degree longitude of ascending node..
1992 October 21 - . 10:21 GMT - . Launch Site: Plesetsk. Launch Complex: Plesetsk LC16/2. LV Family: R-7. Launch Vehicle: Molniya 8K78M-PVB. Cosmos 2217 - . Payload: Oko #70. Mass: 1,900 kg (4,100 lb). Nation: Russia. Agency: MOM. Class: Surveillance. Type: Early warning satellite. Spacecraft: Oko. Decay Date: 2010-11-07 . USAF Sat Cat: 22189 . COSPAR: 1992-069A. Apogee: 36,700 km (22,800 mi). Perigee: 3,642 km (2,263 mi). Inclination: 67.10 deg. Period: 717.50 min. Covered Oko constellation plane 8 - 201 degree longitude of ascending node..
1992 November 25 - . 12:18 GMT - . Launch Site: Plesetsk. Launch Complex: Plesetsk LC43/3. LV Family: R-7. Launch Vehicle: Molniya 8K78M-PVB. Cosmos 2222 - . Payload: Oko #71. Mass: 1,900 kg (4,100 lb). Nation: Russia. Agency: MOM. Class: Surveillance. Type: Early warning satellite. Spacecraft: Oko. USAF Sat Cat: 22238 . COSPAR: 1992-081A. Apogee: 35,026 km (21,764 mi). Perigee: 5,330 km (3,310 mi). Inclination: 67.10 deg. Period: 717.80 min. Covered Oko constellation plane 1 - 270 degree longitude of ascending node..
1993 January 26 - . 15:55 GMT - . Launch Site: Plesetsk. Launch Complex: Plesetsk LC16/2. LV Family: R-7. Launch Vehicle: Molniya 8K78M. Cosmos 2232 - . Payload: Oko #72. Mass: 1,900 kg (4,100 lb). Nation: Russia. Agency: MOM. Class: Surveillance. Type: Early warning satellite. Spacecraft: Oko. USAF Sat Cat: 22321 . COSPAR: 1993-006A. Apogee: 35,870 km (22,280 mi). Perigee: 4,502 km (2,797 mi). Inclination: 67.60 deg. Period: 718.10 min. Covered Oko constellation plane 4 - 34 degree longitude of ascending node..
1993 April 6 - . 19:07 GMT - . Launch Site: Plesetsk. Launch Complex: Plesetsk LC43/4. LV Family: R-7. Launch Vehicle: Molniya 8K78M. Cosmos 2241 - . Payload: Oko #73. Mass: 1,900 kg (4,100 lb). Nation: Russia. Agency: MOM. Class: Surveillance. Type: Early warning satellite. Spacecraft: Oko. USAF Sat Cat: 22594 . COSPAR: 1993-022A. Apogee: 36,804 km (22,868 mi). Perigee: 3,564 km (2,214 mi). Inclination: 66.00 deg. Period: 718.00 min. Covered Oko constellation plane 7 - 161 degree longitude of ascending node..
1993 August 10 - . 14:53 GMT - . Launch Site: Plesetsk. Launch Complex: Plesetsk LC16/2. LV Family: R-7. Launch Vehicle: Molniya 8K78M. Cosmos 2261 - . Payload: Oko #74. Mass: 1,900 kg (4,100 lb). Nation: Russia. Agency: MOM. Class: Surveillance. Type: Early warning satellite. Spacecraft: Oko. Decay Date: 2012-12-31 . USAF Sat Cat: 22741 . COSPAR: 1993-051A. Apogee: 35,967 km (22,348 mi). Perigee: 4,370 km (2,710 mi). Inclination: 66.60 deg. Period: 717.40 min. Covered Oko constellation plane 9 - 235 degree longitude of ascending node..
1994 August 5 - . 01:12 GMT - . Launch Site: Plesetsk. Launch Complex: Plesetsk LC16/2. LV Family: R-7. Launch Vehicle: Molniya 8K78M. Cosmos 2286 - . Payload: Oko #75. Mass: 1,900 kg (4,100 lb). Nation: Russia. Agency: MOM. Class: Surveillance. Type: Early warning satellite. Spacecraft: Oko. USAF Sat Cat: 23194 . COSPAR: 1994-048A. Apogee: 36,384 km (22,607 mi). Perigee: 3,982 km (2,474 mi). Inclination: 67.50 deg. Period: 718.00 min. Covered Oko constellation plane 5 - 78 degree longitude of ascending node..
1995 May 24 - . 20:10 GMT - . Launch Site: Plesetsk. Launch Complex: Plesetsk LC16/2. LV Family: R-7. Launch Vehicle: Molniya 8K78M. Cosmos 2312 - . Payload: Oko #76. Mass: 1,900 kg (4,100 lb). Nation: Russia. Agency: MOM. Class: Surveillance. Type: Early warning satellite. Spacecraft: Oko. Decay Date: 2013-09-23 . USAF Sat Cat: 23584 . COSPAR: 1995-026A. Apogee: 36,472 km (22,662 mi). Perigee: 3,890 km (2,410 mi). Inclination: 67.00 deg. Period: 717.90 min. Covered Oko constellation planes 2/3 - 332 degree longitude of ascending node..
1997 January 10 - . Launch Site: Plesetsk . Launch Complex: Plesetsk LC16/2. LV Family: R-7. Launch Vehicle: Molniya 8K78M. Oko launch abort - . Mass: 1,900 kg (4,100 lb). Nation: USA. Agency: MO. Manufacturer: Lavochkin bureau. Class: Surveillance. Type: Early warning satellite. Spacecraft: Oko. Oko launch aborted at moment of engine ignition. Spacecraft was intended to cover Oko constellation planes 8/9 - 209 degree longitude of ascending node..
1997 April 9 - . 08:58 GMT - . Launch Site: Plesetsk. Launch Complex: Plesetsk LC16/2. LV Family: R-7. Launch Vehicle: Molniya 8K78M. Cosmos 2340 - . Payload: Oko #77. Mass: 1,900 kg (4,100 lb). Nation: Russia. Agency: MO. Manufacturer: Lavochkin bureau. Class: Surveillance. Type: Early warning satellite. Spacecraft: Oko. USAF Sat Cat: 24761 . COSPAR: 1997-015A. Apogee: 37,201 km (23,115 mi). Perigee: 3,164 km (1,966 mi). Inclination: 65.20 deg. Period: 718.00 min. Covered Oko constellation planes 8/9 - 217 degree longitude of ascending node..
1997 May 14 - . 00:33 GMT - . Launch Site: Plesetsk. Launch Complex: Plesetsk LC43/4. LV Family: R-7. Launch Vehicle: Molniya 8K78M. Cosmos 2342 - . Payload: Oko #78. Mass: 1,900 kg (4,100 lb). Nation: Russia. Agency: MO. Manufacturer: Lavochkin bureau. Class: Surveillance. Type: Early warning satellite. Spacecraft: Oko. USAF Sat Cat: 24800 . COSPAR: 1997-022A. Apogee: 37,820 km (23,500 mi). Perigee: 2,584 km (1,605 mi). Inclination: 66.70 deg. Period: 718.80 min. Covered Oko constellation planes 6/7 - 129 degree longitude of ascending node..
1998 May 7 - . 08:53 GMT - . Launch Site: Plesetsk. Launch Complex: Plesetsk LC16/2. LV Family: R-7. Launch Vehicle: Molniya 8K78M. Cosmos 2351 - . Mass: 1,900 kg (4,100 lb). Nation: Russia. Agency: MO. Manufacturer: Lavochkin bureau. Class: Surveillance. Type: Early warning satellite. Spacecraft: Oko. USAF Sat Cat: 25327 . COSPAR: 1998-027A. Apogee: 37,513 km (23,309 mi). Perigee: 2,806 km (1,743 mi). Inclination: 63.70 deg. Period: 717.10 min. 1999 December 27 - . 19:12 GMT - . Launch Site: Plesetsk. Launch Complex: Plesetsk LC16/2. LV Family: R-7. Launch Vehicle: Molniya 8K78M. Cosmos 2368 - . Mass: 1,900 kg (4,100 lb). Nation: Russia. Agency: VKS. Manufacturer: Lavochkin bureau. Class: Surveillance. Type: Early warning satellite. Spacecraft: Oko. USAF Sat Cat: 26042 . COSPAR: 1999-073A. Apogee: 38,751 km (24,078 mi). Perigee: 1,603 km (996 mi). Inclination: 63.20 deg. Period: 717.80 min. Early warning satellite, carrying a large telescope to monitor missile launches. The payload and fourth stage were placed in an initial 229 km x 523 km x 62.8 deg orbit; the fourth stage (Block-2BL) fired over South America on the first orbit and delivered the payload to its 12-hour final orbit. 2002 April 1 - . 22:07 GMT - . Launch Site: Plesetsk. Launch Complex: Plesetsk LC16/2. LV Family: R-7. Launch Vehicle: Molniya 8K78M. Cosmos 2388 - . Mass: 1,900 kg (4,100 lb). Nation: Russia. Agency: KVR. Manufacturer: Lavochkin bureau. Class: Surveillance. Type: Early warning satellite. Spacecraft: Oko. Decay Date: 2011-09-14 . USAF Sat Cat: 27409 . COSPAR: 2002-017A. Apogee: 39,178 km (24,344 mi). Perigee: 519 km (322 mi). Inclination: 62.93 deg. The Blok-I upper stage and Oko satellite were placed in a 231 x 490 km x 62.8 deg parking orbit. 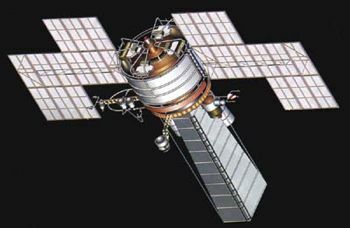 Following the stage burn the Lavochkin US-KS (Oko) elliptical orbit early warning satellite built by Lavochkin was not tracked immediately, but later was reported to be in the correct standard orbit. 2002 December 24 - . 12:20 GMT - . Launch Site: Plesetsk. Launch Complex: Plesetsk LC16/2. LV Family: R-7. Launch Vehicle: Molniya 8K78M. Cosmos 2393 - . Mass: 1,900 kg (4,100 lb). Nation: Russia. Agency: VKS. Manufacturer: Lavochkin bureau. Class: Surveillance. Type: Early warning satellite. Spacecraft: Oko. Decay Date: 2013-12-22 . USAF Sat Cat: 27613 . COSPAR: 2002-059A. Apogee: 39,722 km (24,682 mi). Perigee: 542 km (336 mi). Inclination: 62.90 deg. Period: 716.00 min. Launch delayed from September, then October 22..
2006 July 21 - . 04:20 GMT - . Launch Site: Plesetsk. Launch Complex: Plesetsk LC16/2. LV Family: R-7. Launch Vehicle: Molniya 8K78M. Cosmos 2422 - . Mass: 1,750 kg (3,850 lb). Nation: Russia. Agency: VKS. Manufacturer: Lavochkin bureau. Class: Surveillance. Type: Early warning satellite. Spacecraft: Oko. USAF Sat Cat: 29260 . COSPAR: 2006-030A. Apogee: 39,741 km (24,693 mi). Perigee: 616 km (382 mi). Inclination: 62.90 deg. Period: 717.80 min. Missile early warning satellite. 2007 October 23 - . 04:39 GMT - . Launch Site: Plesetsk. Launch Complex: Plesetsk LC16/2. LV Family: R-7. Launch Vehicle: Molniya 8K78M. Cosmos 2430 - . Mass: 1,900 kg (4,100 lb). Nation: Russia. Agency: VKS. Manufacturer: Lavochkin bureau. Class: Surveillance. Type: Early warning satellite. Spacecraft: Oko. Decay Date: 2019-01-05 . USAF Sat Cat: 32268 . COSPAR: 2007-049A. Apogee: 39,175 km (24,342 mi). Perigee: 520 km (320 mi). Inclination: 62.90 deg. Period: 704.50 min. Missile early warning satellite. 2008 December 2 - . 05:00 GMT - . Launch Site: Plesetsk. Launch Complex: Plesetsk LC16/2. LV Family: R-7. Launch Vehicle: Molniya 8K78M. Cosmos 2446 - . Mass: 1,900 kg (4,100 lb). Nation: Russia. Agency: KVR. Class: Surveillance. Type: Early warning satellite. Spacecraft: Oko. Decay Date: 2017-05-06 . USAF Sat Cat: 33447 . COSPAR: 2008-062A. Apogee: 39,772 km (24,713 mi). Perigee: 625 km (388 mi). Inclination: 63.00 deg. Period: 718.60 min. Molniya-orbit early warning satellite..
2010 September 30 - . Launch Site: Plesetsk. LV Family: R-7. Launch Vehicle: Molniya 8K78M. Cosmos 2469 - . Mass: 1,900 kg (4,100 lb). Nation: Russia. Agency: KVR. Class: Surveillance. Type: Early warning satellite. Spacecraft: Oko. USAF Sat Cat: 37170 . COSPAR: 2010-049A. Apogee: 39,609 km (24,611 mi). Perigee: 745 km (462 mi). Inclination: 62.90 deg. Period: 717.80 min. Early warning satellite..